Let’s be honest, what’s not to love about Sweden? The place that gave us the infamous bikini team, has now designated its first National Marine park, just so they could have a place to frolic. Well, a guy can dream, right? Kosterhavet National Marine Park is found in the Koster Islands, between Sweden and Norway, and the most westerly inhabited islands in Sweden. 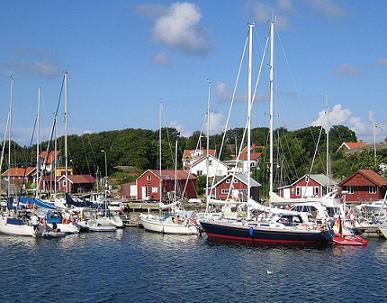 You can reach the park by boat from Strömstad, Sweden (pictured above). The Guardian offers up an in-depth view on the park, discovering its nearly stress free lifestyle, and even better activities. From scuba diving, to hiking, sea kayaking, and crayfish safaris, the almost carless islands offer just about anything an outdoorist could imagine. Long standing as nature reserves, the islands got bolstered into national park status due to the over 6,000 different marine species calling it home.